Oxford University Press, USA, 9780199794928, 424pp. Givens shows that despite Mormonism's origins in a biblical culture strongly influenced by nineteenth-century Restorationist thought, which advocated a return to the Christianity of the early Church, the new movement diverges radically from the Christianity of the creeds. Mormonism proposes its own cosmology and metaphysics, in which human identity is rooted in a premortal world as eternal as God. Mormons view mortal life as an enlightening ascent rather than a catastrophic fall, and reject traditional Christian concepts of human depravity and destiny. Popular fascination with Mormonism's social innovations, such as polygamy and communalism, and its supernatural and esoteric elements-angels, gold plates, seer stones, a New World Garden of Eden, and sacred undergarments-have long overshadowed the fact that it is the most enduring and even thriving product of the nineteenth century's religious upheavals and innovations. 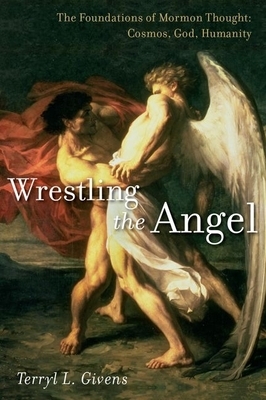 Wrestling the Angel traces the essential contours of Mormon thought from the time of Joseph Smith and Brigham Young to the contemporary LDS church, illuminating both the seminal influence of the founding generation of Mormon thinkers and the significant developments in the church over almost 200 years. The most comprehensive account of the development of Mormon thought ever written, Wrestling the Angel will be essential reading for anyone seeking to understand the Mormon faith. Terryl L. Givens is Professor of Literature and Religion and Jabez A. Bostwick Chair of English at the University of Richmond. His books on Mormonism and American religious culture include By the Hand of Mormon, People of Paradox, Parley P. Pratt (with Matthew Grow), and Viper on the Hearth.